20 Ways To Save Your Smartphone’s Battery #Infographic ~ Visualistan '+g+"
Are you sick and tired of your cell phone’s battery going flat? 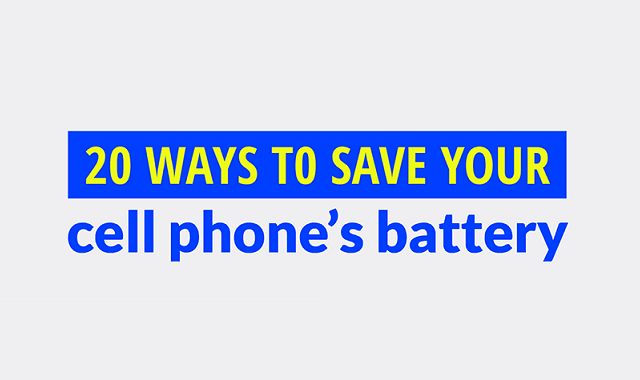 There’s all kinds of simple fixes to help extend your battery’s life that you may never have heard of! From deactivating vibrations, to using a dark wallpaper, and playing with your email app’s settings. To help you out, powerbankexpert have put together this infographic showing you 20 ways to save your cell phone’s battery!